It seems like I spend every year looking forward to the month of October and Halloween all year long. But when it finally gets, I often find that I’m too busy to sit back and enjoy it. So here’s a reminder for all of us Halloween lovers out there to do whatever we can to make every Halloween season better than the last. 1. Dance the night away to every tune that has a remotely spooky theme. 3. Carve a bunch of jack-o-lanterns and light the way for all the trick or treaters. 4. Dress up in a wacky costume to make your friends laugh. 5. Dress up in a scary costume to make children run in fear. 6. Dress up in an amazing costume to make people green with jealousy. 7. Dress up in a slutty costume just because you feel like it. 8. Watch all of the Halloween movies you loved as a kid. 9. Put up frightening decorations in front of your house, set up a camera and enjoy the results. 10. Turn out the lights, bring out some flashlights and tell ghost stories. 11. Watch some classic horror films and turn them into a drinking game, such as taking a drink every time a character goes off on their own. 12. Finally, just remember that Halloween is the best night of the whole year. What fun plans do you have this Halloween? 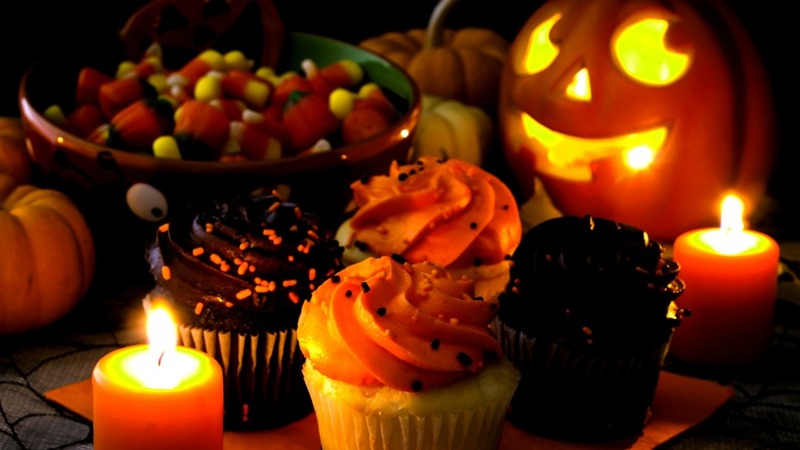 This article was posted in Halloween Activities, Halloween Ideas, Halloween Party Ideas and tagged Halloween, Halloween Movies, Halloween Party Ideas. Bookmark the permalink. Follow comments with the RSS feed for this post.Post a Comment or leave a trackback: Trackback URL.